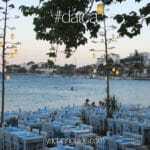 Ever wondered what the Dalmatian coast is like? Looking for an alternative private yacht holiday region for a blue cruise holiday instead of the Greek Islands or Turkey? 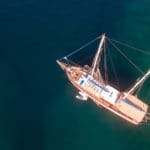 You might like to consider exploring a beautiful and unique travel into the Adriatic sea and visit the many historical and breathtaking islands of Croatia. 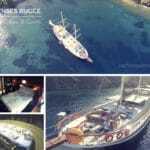 There are a variety of charter gulets for these splendid blue cruises available from the ports of Split and Dubrovnik. Among the many itineraries available from the ports of Split, Dubrovnik, Zadar and Rovinj, one particular route may be just right to enjoy the pampering services by the crews during a rejuvenating and luxury gulet charter holiday in the Dalmatia region. The journey begins in the culturally rich city with 1700 years of tradition – Split. 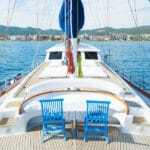 This boat charter holiday in Croatia, ends beautifully in the middle of Dalmatia, in Zadar. Please note that this route may not be available for all boat charters. Welcome to the warm Mediterranean city of Split, renown for the Palace of Diocletian – a UNESCO World Heritage site. Split boasts a plethora of cultural and historical monuments and archaeological sites. As Croatia’s second largest city, it is a hub for trains, buses and local traffic. The tree-lined promenade is beautiful where you can enjoy the scenery. Situated on the Eastern coastline of the Adriatic Sea, Trogir is one of the most historic towns in central Dalmatia offering a pleasant Mediterranean climate. It’s rich culture is an influence from the Greeks, Romans and Venetians. 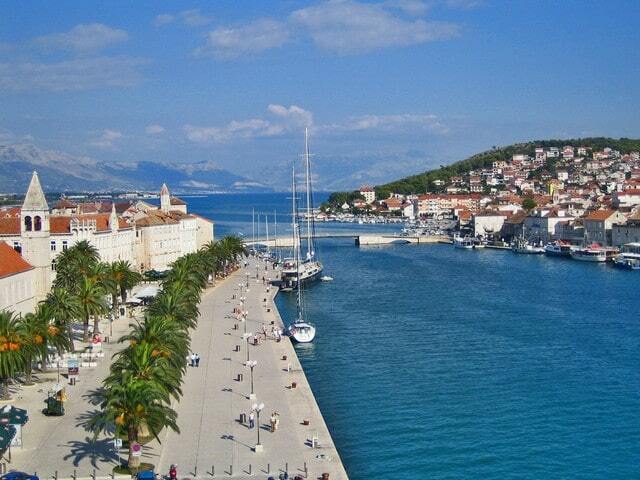 Nicknamed ‘The Stone Beauty’, Trogir comprises of a historic variety of palaces, churches, towers, and a fortress. The central Medieval area from the 15th Century of this small town, houses a castle and tower, as well as a selection of other dwelling and palaces left behind from the Romanesque, Gothic, Renaissance and Baroque periods. Trogir is certainly a must-see picturesque destination on the Dalmatian coast during your Croatia yacht charter holidays. While you are here, enjoy the clear waters from its beautiful beaches, delight yourself with an array of local cuisine from any one of the waterfront traditional restaurants, cafes and bars; combined with a pleasant stroll around. Doesn’t this sound like a holiday you may like to enjoy with your family and friends in the beautiful waters of the Adriatic Sea?